Hundreds of sailors took to the waters of the River Exe for the annual celebration of sailing, the River Exe Regatta. 18 races took place on Saturday, June 23rd and Sunday, June 24th, with sailors from Exe, Lympstone and Topsham Sailing Clubs, Starcross Yacht Club and Starcross Fishing and Cruising Club putting their skills to the test. The two-day event saw more than 80 vessels competing up and down the River Exe, from the waters at the top of the river right down to Exmouth beach. As well as all the activity on the water, there were celebrations ashore with a Caribbean Party Night at Topsham Sailing Club on Saturday, featuring live music from Devon-based new wave reggae/dub band, The Barefoot Bandit. Young sailors were challenged to a ‘Swallows and Amazons’ treasure hunt at the top of the river, followed by a water fight, and sailors who fancied a more leisurely sail took part in a dinghy cruise on Sunday afternoon. This year’s Regatta was once again a fantastic celebration of sailing and all that the sport encompasses. It is always enjoyable working alongside our neighbouring clubs to put on such a successful weekend of sailing for all our members and friends to enjoy. 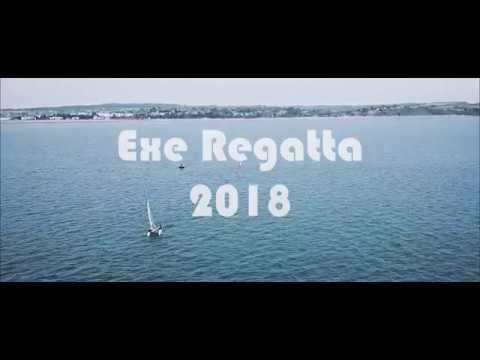 For more information about the Regatta and for race results, visit www.river-exe-regatta.org.uk.